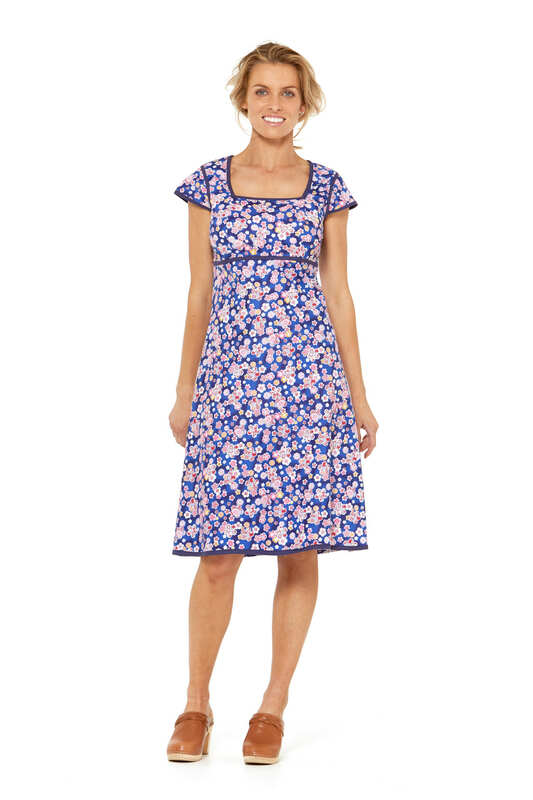 The stunning Rasaleela Sophie Dress is a classically elegant, comfortable and versatile design. This flattering empire line dress features a fitted bodice,cap sleeves and an almost square shaped scoop feature neckline, with the bodice area detailed in pretty trim ( Navy) to sleeves, bodice and hem.Sophie fits like a glove and is cut on the bias with an A-line shape, giving the 100% crisp cotton fabric a slight stretch, skimming the tummy to give a super flattering look. Our exclusive Japanese Sakura or Cherry Blossom print consisting of small flowers and Japanese motifs of navy,white, red and pink has style written all over it. 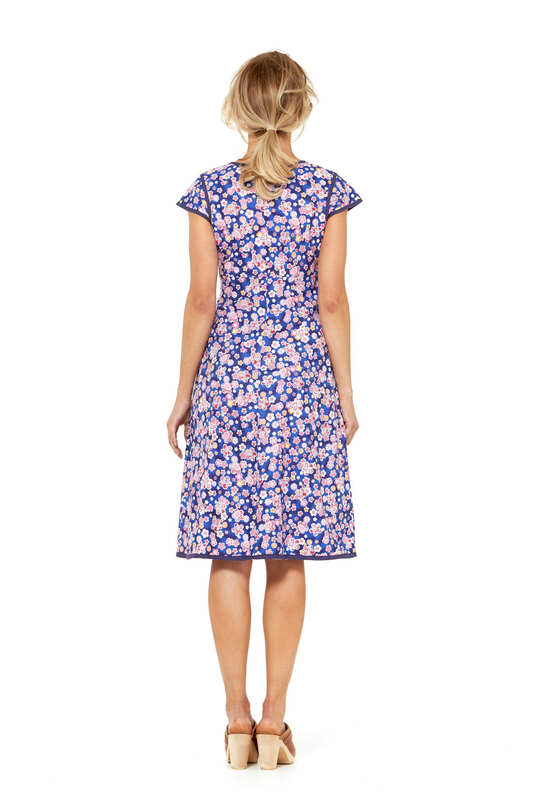 The Sophie is a perfect trans-seasonal dress for spring, summer or autumn, great on hot days, and perfect on those cooler evenings teamed with a cardi and heels,flats or your favourite cowboy boots!